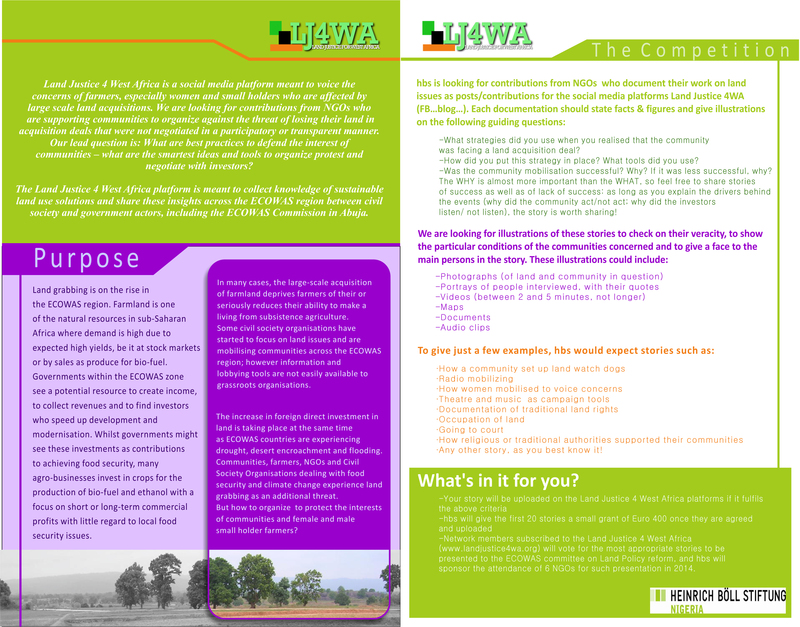 How to defend communities against land grabbing? Post your videos and photos on our platform! 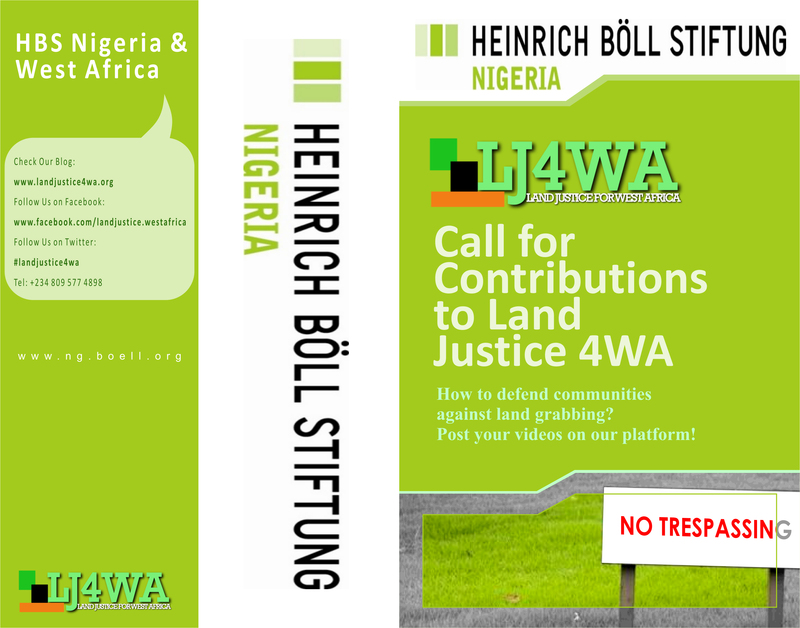 Land Justice 4 West Africa is a social media platform meant to voice the concerns of farmers, especially women and small holders who are affected by large scale land acquisitions. We are looking for contributions from NGOs who are supporting communities to organize against the threat of losing their land in acquisition deals that were not negotiated in a participatory or transparent manner. Our lead question is: What are best practices to defend the interest of communities – what are the smartest ideas and tools to organize protest and negotiate with investors?